Are you ready to plan your ultimate Vietnam adventure? With 2 weeks in Vietnam, you can plunge into a diverse set of experiences and immerse yourself in the culture. Here are our suggestions for your perfect 2-week Vietnam itinerary. What’s in our guide to The Best Vietnam Itinerary for 2 Weeks? Vietnam is so diverse that, even though we’ve spent more than 12 months during the last couple of years travelling there, we still haven’t seen everything there is to see! In Vietnam, you can lounge on the beach, trek through breathtaking mountains, sail one of the most beautiful places on Earth, sample street food in a buzzing city, or sip coffee in a UNESCO heritage old town. Experience the UNESCO city of Hoi An, Vietnam. With plenty of temples, eco-friendly activities, and yoga retreats, Vietnam is an excellent destination for mindful travellers, too. These Vietnam 2-week itineraries — we have created three options — are designed for mindful and adventure travellers who want to immerse themselves in the local culture, experience the varied landscapes of Vietnam, and, above all, not spend their entire time flying from one city to the next! Want to know our Vietnam secrets? 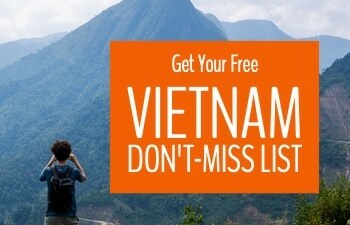 Get our free Vietnam Don’t-Miss List! This is a hand-picked bucket list of our 12 favourite Vietnam experiences, guaranteed to make your trip extra special. There are so many places to explore and experiences to have in Vietnam that 2 weeks is not really enough. To do the country justice, travelling slowly and immersing yourself in the culture, you’d need at least 6 weeks. That being said, two weeks in Vietnam is plenty to create some amazing memories and have adventures you won’t soon forget. With only two weeks, it makes most sense to plan your Vietnam itinerary for a specific part of the country. That’s why our three suggested two-week itineraries are divided by geography. Our Northern Vietnam 2 Week Itinerary is perfect for Vietnam first-timers who want to enjoy the greatest nature experiences Vietnam has to offer. Our Central Vietnam 2 Week Itinerary is ideal for culture buffs and foodies who also want to make time for beaches and Vietnam’s incredible caves! Our Southern Vietnam 2 Week Itinerary is great if you’ve been to Northern or Central Vietnam before or you want to explore less-visited parts of the country. If you only have 10 days in Vietnam, it’s easy to cut one or two destinations from our itineraries to fit your schedule. If you have 3 weeks in Vietnam (or more), combine our itineraries into a longer Vietnam adventure. All itineraries assume you will be taking the bus or train to get around (with a few taxis in less-visited areas). If you want more adventure, buy or rent a motorbike — Vietnam is ideal for motorbike travel. 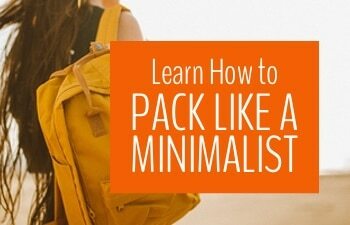 These itineraries are pretty packed. We advise you to skip at least one of the recommended destinations and extend your stay elsewhere. Slow travel is always more satisfying! Look for the airplane symbol ✈ for travel details and time between destinations. To help plan your route, we recommend 12go.asia where you can find transporation times and prices between almost any destinations in Vietnam. For the best Vietnam travel itinerary, link all three itineraries together and add an extra week or two for spontaneous detours and additions. Vietnam has an abundance of culture and nature to experience. We’ve had so many adventures in Northern Vietnam that we absolutely love this part of the country. If you’re new to Vietnam and want to combine outdoor activities with the bustle and culture of Hanoi, this is the itinerary for you. You’ll want at least 48 hours to explore amazing Hanoi. The bustle and frenzy of the Old Quarter is an incredible immersion into Vietnamese Culture. This Hanoi Highlights tour by Urban Adventures will really help you get your head around this incredible city. Hanoi’s food scene is amazing, so make sure to join a street food tour on your first night in the city, so you’ll know where to eat the best food. Learning how to cook Vietnamese food is even better. Taking a cooking class in Hanoi is a don’t-miss experience. Check Cookly to find your perfect one! Take a day tour to Vietnam’s largest national park, Cúc Phương, where you’ll experience a landscape of lush valleys, verdant forests, and mystical grottoes. You’ll also visit the Endangered Primate Rescue Center to meet langur monkeys, gibbons, and lorises and learn how they help preserve balance in our ecosystem. There are so many fabulous guesthouses, hostels, and hotels in Hanoi, it’s hard to pick the best one. We highly recommend you look for a place inside the Old Quarter so it’s easy to walk to the best restaurants or bars. Check out our picks of the best Hanoi hotels for every budget or find your own perfect Hanoi accommodation. Take a cruise on Halong Bay or Bai Tu Long Bay, the quieter alternative. Most cruises in Halong Bay now depart from Got Pier (Hai Phong) which is only 2 hours from Hanoi. Book your cruise ahead of time or when you arrive in Hanoi, and the cruise company will include a private transfer from your hotel in Hanoi to the departure point in Halong Bay. ✈ Travel Overnight: Return to Hanoi with your cruise company, then go by sleeper train from Hanoi to Sapa. Note: If you book your Sapa trek in Hanoi, they will arrange your train or bus tickets and transfers for you. Sapa is a deservedly popular destination in Vietnam for the outdoorsy traveller. Northern Vietnam’s real treasure is its incredible mountains and the hill tribes who live there. Go trekking in Sapa or try one of the less touristy alternatives to Sapa, like Ha Giang. If you like wide open spaces, tiny mountain trails, and hidden villages, make sure to spend 3 days and 2 nights on your trek which will give you the chance to get a little further away from the tourist mobs. A short drive from Hanoi, Mai Chau is a world away. This is your chance to stay overnight in a Mai Chau homestay and get a chance to experience village life in Vietnam. ✈ Travel 1/2 Day: Mai Chau to Ninh Binh by bus, Ninh Binh to Tam Coc by taxi. Note: This can be a tricky route and you might find it easier to go back to Hanoi and take the train to Ninh Binh. Just a one-hour train ride south of Hanoi, Tam Coc is the perfect place to experience Vietnam’s remarkable karst landscapes. Most tourists to Tam Coc are day trippers, but you’ll get to experience the tranquility of the region more fully if you stay overnight. Do a boat trip in the early hours, before the day trippers arrive and then rent a bicycle to explore the countryside in the afternoon. After Tam Coc, it’s back to Hanoi for a final night, or to catch your flight back home! If you only have one week, you’ll have to choose between trekking in the mountains and sailing in Halong Bay. You might not have time to do both Mai Chau and Tam Coc. Choose Mai Chau for culture and Tam Coc for nature. From Tam Coc, you can get a bus to Phong Nha if you want to continue into central Vietnam from the north. If you’re going to Vietnam in winter, be aware that northern Vietnam can get cool and rainy. Come prepared. Here’s a great guide to taking the sleeper train from Hanoi to Sapa by MapTrotting. Use the incredibly thorough 12go.asia site to plan and book your Vietnam bus and train travel. There is plenty of culture to explore in Central Vietnam. Last year, I took a solo trip to central Vietnam and Stephen was devastated to miss it. Central Vietnam has culture, caves, and some of the best vegan food in Vietnam. Central Vietnam is often overlooked, but it might just be my favourite region of this fabulous country. If you’re just planning to visit central Vietnam, you can fly into Hanoi and take a sleeper train that night to Hue. Or, for an easier trip, fly into Da Nang and start your central Vietnam 2-week itinerary there. Note: If you look at the map, this route might seem a little strange, since there is some backtracking involved. But it makes the most sense in terms of convenient transport links (and helping you avoid an unpleasant 18-hour bus ride at the end of your trip). If you’re flying into Hanoi and you’ve never been there before, it’s well worth a few days of your time to stay and explore the city’s wonderful Old Quarter. You could cut your time in Hoi An a little shorter, or skip Phong Nha to make time for Hanoi. See our Northern Vietnam 2-Week Itinerary for things to do in Hanoi. If you’d rather get moving on your central Vietnam adventure, you can hop on the bus or train the evening of your arrival. See the Imperial City and then eat your way around Hue which has a fascinating culinary history and is filled with amazing restaurants, many of which are vegan. I can’t quite express how much I love Hoi An. Yes, it is filled with tourists and no, it can’t really be described as “authentic” — but it has a unique charm which somehow transcends the crowds and transports you to another era. The Ancient Town’s narrow streets, lined with yellow-painted heritage homes, is worth at least a day of exploration. There are so many other adventures to be had in and around Hoi An. If you’re brave, on your first day in the city, commission one of the dozens of tailors to create your perfect outfit. Take bike and kayak tour of charming Hoi An. Embark on a Hoi An food adventure by bike. I loved my Hoi An scooter trip to visit local artisans, organic gardens, and the nearby beach. For a budget visit with a central location, the Tipi Hostel works well — it is clean, friendly, and comfortable for a few nights. If you’re looking for a place with a pool, try the mid-range Prince Hotel or the more luxury La Siesta Hoi An Resort and Spa. An Bang beach is a beautiful spot for some R&R. After so many days of adventure and culture, a couple of days of restful beach time is the perfect way to recuperate. Book into a resort on An Bang Beach, just a few kilometres from Hoi An, for some much needed R&R. If you’re a Vietnam War buff, you’ll be interested in Da Nang beach as the famous stretch of sand American GIs used for their R&R. If you like wide sandy beaches, you’ll also want to spend a day or two in Da Nang. But my favourite attraction in Da Nang is the Marble Mountain temple complex. I have seen a lot of temples but none grabbed my imagination quite like these hidden temples carved into the top of a low mountain range. Phong Nha is home to one of the world’s most amazing cave systems. You can spend one day visiting the touristy caves: Phong Nha Cave, Paradise Cave, and Dark Cave. Or take several days to join a more adventurous multi-day cave trekking experience with Oxalis Adventure Tours. I loved my stay at Ngyuen Shack, a hostel where the rooms are in a long, low bamboo hut. If you want private accommodation away from the, admittedly minimal, bustle of Phong Nha town, the Phong Nha Homestay Community is a great option. There’s limited high-end accommodation in Phong Nha but if you’re looking for a little extra comfort, try Phong Nha Lake House Resort. Your final night is a travel night. You might want to plan an extra day in Hanoi to recover from overnight travel before you have to hop on a plane home! Even if you can’t drive a motorbike, we highly recommend you make the trip from Hue to Hoi An by motorbike. 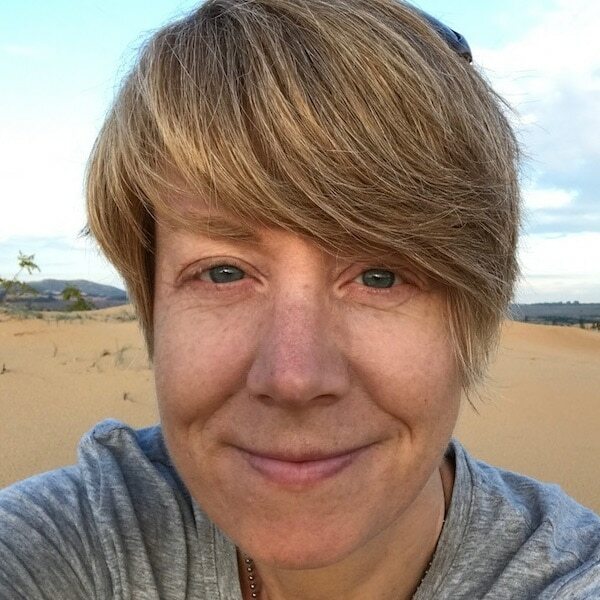 Here’s Jane’s review of her motorbike adventure from Hue to Hoi An with Le Family Riders. If you’re extending your trip and heading south instead of returning to Hanoi, then do this itinerary in the more geographically logical form: Hanoi > Phong Nha > Hue > Da Nang > Hoi An. From Hoi An, you can take an overnight bus or train to Nha Trang to join our Southern Vietnam 2 Weeks Itinerary. Or consider breaking the journey by stopping in Qui Nonh, a gorgeous beach community which doesn’t make it onto most travellers’ Vietnam itinerary. Use the incredibly thorough12go.asia site to plan and book your Vietnam bus and train travel. 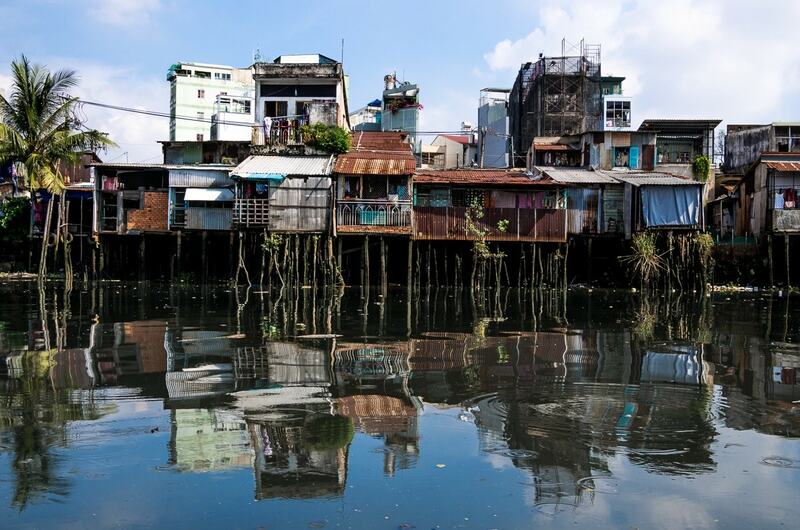 The contrast between rich and poor in Saigon is plain to see from the river. To be brutally honest, the south is not my favourite part of Vietnam. If you’ve never been to Vietnam before, I would suggest sticking with our northern or central Vietnam itineraries. If you’ve visited Vietnam before, then by all means, explore Vietnam’s diverse southern region which offers plenty of beach escapes, plus the lush Mekong Delta and vibrant Ho Chi Minh City. Soak up the culture in Ho Chi Minh City by wandering the streets and back alleys of District 1. Don’t miss visiting the War Remnants Museum which is a sobering and thought-provoking way to understand the Vietnam War from a Vietnamese point of view. Discover the best craft beer in Saigon while getting to know the city’s expat culture. Hop on a boat for an eye-opening day trip to the Mekong Delta. Better still, explore the Mekong Delta on a bike tour. Ho Chi Minh City is separated into numbered districts and most travellers stay in District 1. At the budget end of the scale, there are plenty of good options, including Cozy House 140 and Town House 373. If you’re looking for something more comfortable, try Christina’s Saigon. The Mui Ne Sand Dunes are touristy but breathtaking. Just few hours from Ho Chi Minh City, Mui Ne is a popular beach escape for affluent Vietnamese families and couples. Though it’s busy and a little overdeveloped, it’s a convenient place to escape to the beach, try your hand at kite surfing, and visit the Mui Ne Sand dunes. Nha Trang offers a similar experience to Mui Ne, with a little more city and a little less beach bum vibe. You can safely limit your visit to one or the other. While in Nha Trang, don’t miss a trip to the mud baths. Experience Dalat and head into the surrounding mountains for an unforgettable trek. Don’t miss the Dalat Crazy House! You can even stay there. Heading north of Dalat deep into the Central Highlands is guaranteed to take you off the beaten track and away from other tourists. The main attraction of the region is the untouched nature, where elephants, gibbons and bears still roam. You’ll also be able to visit ethnic minority villages to experience a different type of Vietnamese culture. Since access to some of these villages is still restricted by the government, the easiest way to visit is to join a tour. For a real adventure in this region, bike the Central Highlands of Vietnam to Nha Trang. On your final nights in Ho Chi Minh City, take the opportunity to explore the city’s nightlife from one of the many fabulous rooftop bars. If you only have one week in the south, you might want to skip our itinerary and head west from Ho Chi Minh City where you can explore Can Tho, Ben Tre, and Phu Quoc. Unless you’re thrilled at the idea of mud baths (which are a fun cultural experience), then Nha Trang is not essential. Leave more time for the Central Highlands instead. Though it’s a popular destination, we have not included Phu Quoc in our southern Vietnam itinerary because by most reports it is overdeveloped and doesn’t seem to appeal to people who like adventure, responsible, and mindful travel. If you want adventurous island time in Vietnam, try the Con Dao Archipelago instead. If you’re heading to Cambodia, skip Phu Quoc and visit Koh Ta Kiev. These are our favourite tools and companies for planning and booking your travels in Vietnam. 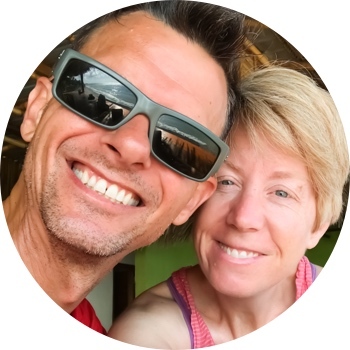 We have used all of them and recommend them for their dedication to providing you great travel experiences. If you have any doubts or questions about your Vietnam itinerary, feel free to get in touch. We’re happy to answer any questions you might have. 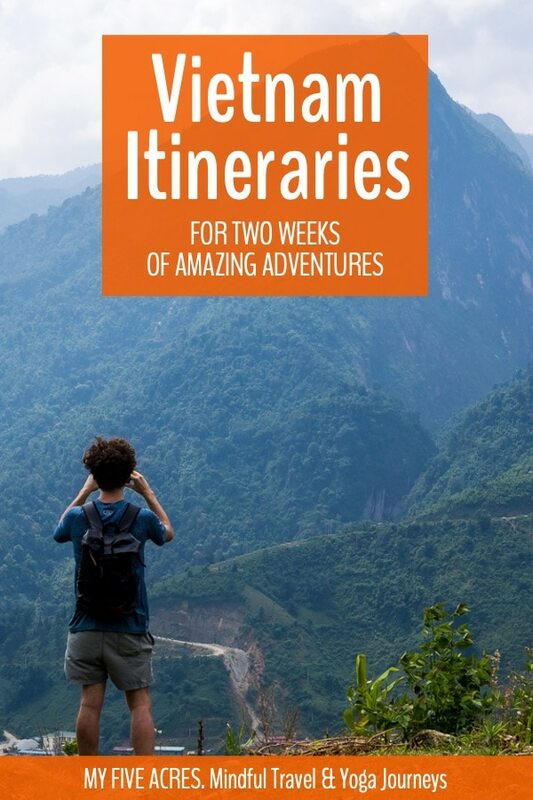 Meanwhile, make sure to check out our extensive collection of Vietnam travel guides. 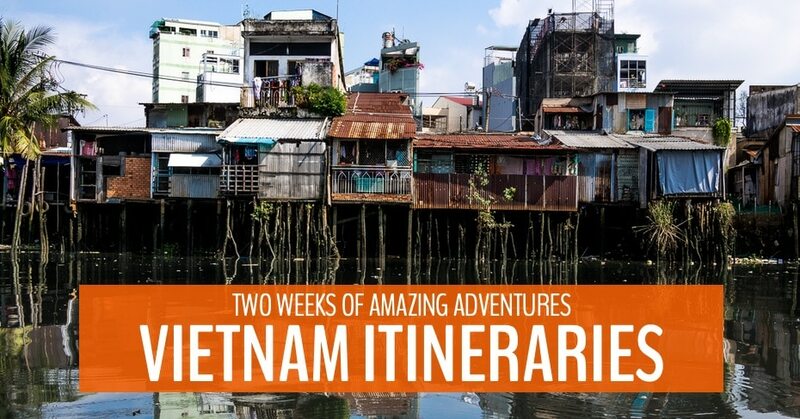 Pin this post for your Vietnam adventure.